My last evening in Sweden happened to be a Monday night, but we did not let that stop our family to enjoy a New Year’s Eve worthy supper. Mother pulled out all the stops with Lobster Thermidor, that the whole family loves, followed by wild duck, boiled potatoes, creamy sauce and broccoli pared with a lovely bottle of Italian red. 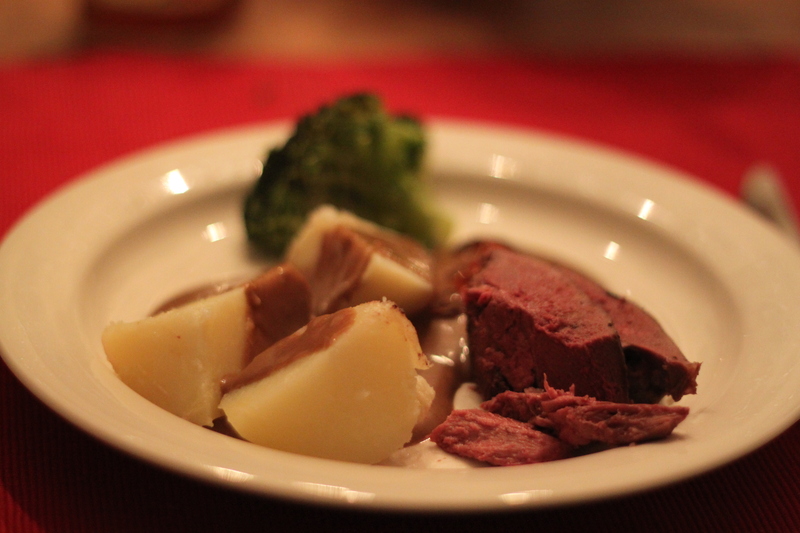 My mother usually cooks the duck quite done by cooking it for hours so it is very tender. But since I love red meat and she loves me, she cooked it pink this time. I ate the redest bits and it was lovely and tender. 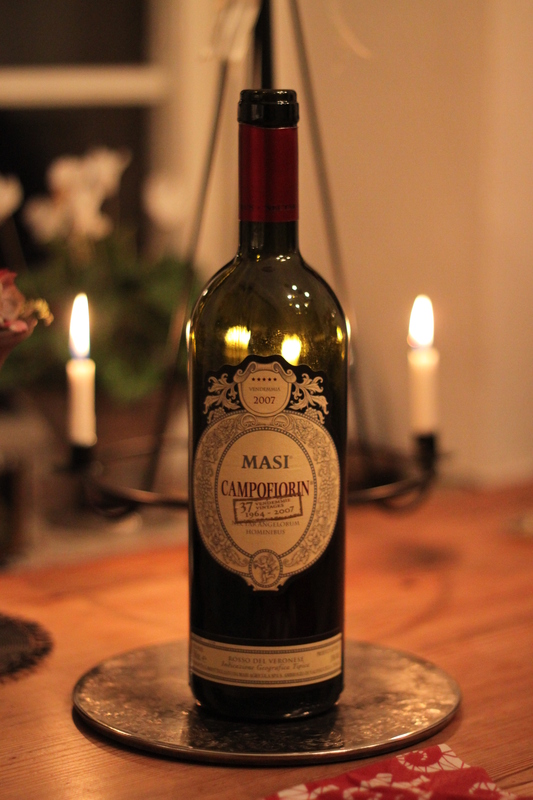 As for the wine, it was a 2007 Masi Campofiorin, that I know almost nothing about, but it was a lovely bottle. Very easy to drink also after the meal. Use half a lobster per person. Cut the cooked lobsters in half lengthways and remove the meat. Rinse the shells and place them in a baking tray. Try to get the claws out of the shells whole if you can and use it for decoration, or just chop it up with the other lobster meat. Fry sliced button mushrooms. In another pan make a roux and add cream until you have a thick bechamel. Season with cognac, fish or seafood stock, dijon mustard, maybe some parsley or cayenne pepper, salt and pepper. Add the mushrooms and the lobster meat towards the end and fill the shells. Sprinkle grated strong cheese on top and place in oven, 200C, for about 15 minutes or until the cheese is golde brown. Serve with bread and tuck in.